The Amaro Mountains are a small range separating the communities of Amaro on the eastern slopes from Nechisar National Park and the lowland tribal areas of Arba Minch in southwest Ethiopia, Sidamo region. The local coffee varieties, relatively light population, waterfalls and highland bamboo forests are among the many unique features of the area. 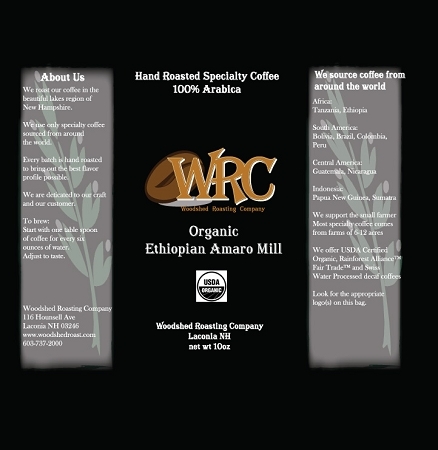 This exceptional coffee is exported through Ethiopia’s only female miller/exporter, Asnakech Thomas. Native to the Amaro region, Asnakech decided in 2005 to return to Ethiopia and improve the coffee quality and living conditions of her community. The coffee is scrupulously harvested, sorted, and milled at her own facilities, allowing her remarkable control over her crops. 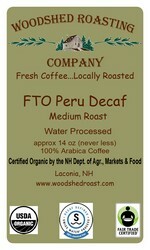 InterAmerican is proud to offer both washed and natural organic coffee from Thomas and her mill. Amaro is a farm with wet and dry mills where local growers bring their freshly picked, ripe cherry for processing. Asnakech is said to be very strict in selecting which coffees will be processed at her washing station and mill, choosing only ripe and ready cherry. Cherries are dried on raised beds, eliminating contact with the soil and resulting in a much cleaner coffee. These raised beds also provide even aeration, in which the dry air can reach the bean from both above and below the beds. This combination results in a very consistent quality and flavor profile. After drying, mature cherries are sent to Amaro’s pulping machine, which is designed to use far less water than most mills. Farmer training:- Amaro is involved in training the farmers of the area in increasing yield and quality. The organization has also set up a women-in-coffee association, the first organization of such kind in the area. Amaro has also created and sponsored The Amaro Gayo Football Team, a junior soccer football team for the youth in the area. They also fund the purchase of books and labtops in area schools. Realizing the gravity of climate change and its impact on the surrounding regions, Amaro farm took the initiative to encourage farmers to plant more trees. This recently started intervention program is supported by providing incentives for every tree that the farmer plants. This has been my favorite coffee for quite a while. It is good french pressed or aeropressed. I enjoy the good coffee flavor with a hint of blueberry. Copyright Woodshed Roasting Company. All Rights Reserved.